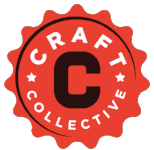 PLEASE READ THIS IMPORTANT MESSAGE ABOUT CHANGES TO YOUR CRAFT COLLECTIVE DELIVERY NEXT WEEK. All of our deliveries will be made on TUESDAY, NOVEMBER 20. If you do not normally receive deliveries on Tuesdays, please be sure that someone is available to receive your delivery. Keep an eye out for our weekly availability email. We will send it as soon as we can, hopefully by Sunday evening, but no later than early Monday morning. Please plan on placing your order with your rep ASAP on Monday. Orders placed before 2 p.m. on Monday, 11/19, will be prioritized. We cannot guarantee that orders placed later in the day will make it on a truck for Tuesday. The earlier you order, the more likely we are able to guarantee delivery. We will do our best to get you what you need, within reason, so your customers can enjoy the freshest craft beer this Thanksgiving. We will be closed Wednesday, November 21 through Friday, November 23. We will reopen on Monday, November 26. Please contact your rep directly with any questions.